Developer Andreas Hausladen has released an updated version of his patch for System.ByteStrings which gives you access to PAnsiChar and other types in Delphi XE8 Firemonkey. The string types that this patch enables are: ShortString, AnsiString, AnsiChar, PAnsiChar, PPAnsiChar, UTF8String, PUTF8String, RawByteString, and PRawByteString. The patch is basically a hex edited version of the System.ByteStrings O and DCU files for Android, IOS, OSX, and Windows. Using this patch can help ease the transition away from these types as you bring your older Object Pascal code forward on to mobile devices. There are versions for XE6 and XE7 too. I don’t think the System.ByteStrings patch files work with Appmethod. There are also a couple of other solutions for using PAnsiChar with the NextGen compiler which are ORawByteString.pas and MarshaledAString. 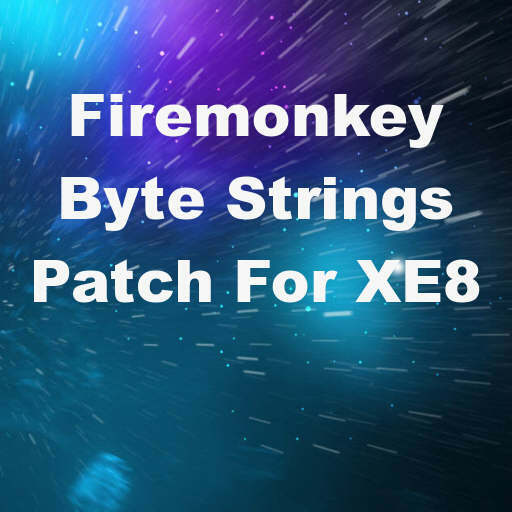 Head over and download the unofficial System ByteStrings patch for Delphi XE8 Firemonkey.